Who says you have to wait until spring to get your home in tip-top shape? 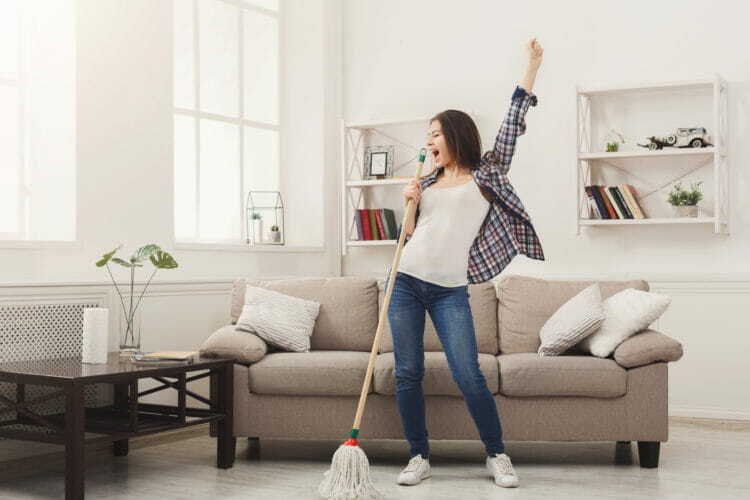 Here’s your complete guide to fall cleaning and organizing, so your home will be nice and tidy just in time for the holidays. Empty the pantry, refrigerator, and cupboards one at a time. While they’re empty, wipe them down to remove crumbs and sticky spots. Throw away any expired or stale food. Place like-items in labeled plastic bins and drawers. This works for everything from baking supplies to canned goods to refrigerated snacks. You’ll discover you have far more storage space than you realized! Purge the coat closet and toss or donate any outerwear you and your family don’t need anymore. Install built-in storage in the mudroom with cubbies for everyone to hang or set their coats, hats, boots, backpacks and purses. Mount coat hooks by the front door for guests to use. Wash the windows. Wait until a cloudy day so you can see and wipe away streaks more effectively. Vacuum the blinds and launder the curtains. Clean the walls. Focus on scuffed areas that built up with the hustle and bustle of summer. Dust the refrigerator condenser coil with your vacuum’s brush attachment. Spot-clean the carpet and have it professionally cleaned if necessary. Test smoke alarms and carbon monoxide detectors. Change the batteries once a year as well. Replace the furnace air filter. Sweep the chimney of your wood-burning fireplace to remove flammable creosote buildup. Replace caulking around windows and doors. Store patio furniture to protect it from the elements. Bay Home & Window can help you organize and dress up your home with custom closet systems and built-in organization for your pantry, mudroom, garage and more! We have over 20 years of experience delighting our customers with quality, custom storage options. Contact us today to learn how we can enhance the elegance and sophistication of your Bay Area home this fall.